← New portrait by Robert Lowth? An authentic portrait of Lowth? 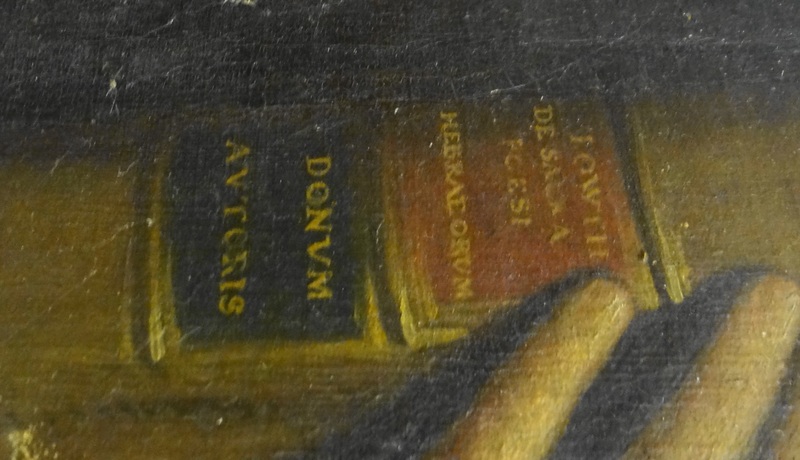 The spine, however, also reads “DONVM AVTORIS”, a gift from the author. I suppose it could mean anything: why would Lowth hold a gift to himself? Could the man in the portrait be someone else perhaps? But perhaps there are good reasons to accept the portrait as representing Lowth after all: the likeness is indeed very close to the Pine engraving. Perhaps it wasn’t the book as such but the portrait that was a gift from the author. If so, this would be a very subtle hint indeed.